The large Kasbah Chandelier by Eichholtz features an ornate cast design that is surrounded by hundreds of glittering glass crystals. Finished in a dark antiqued brass, the Kasbah light has an exotic feel with middle-eastern shaping and detail. 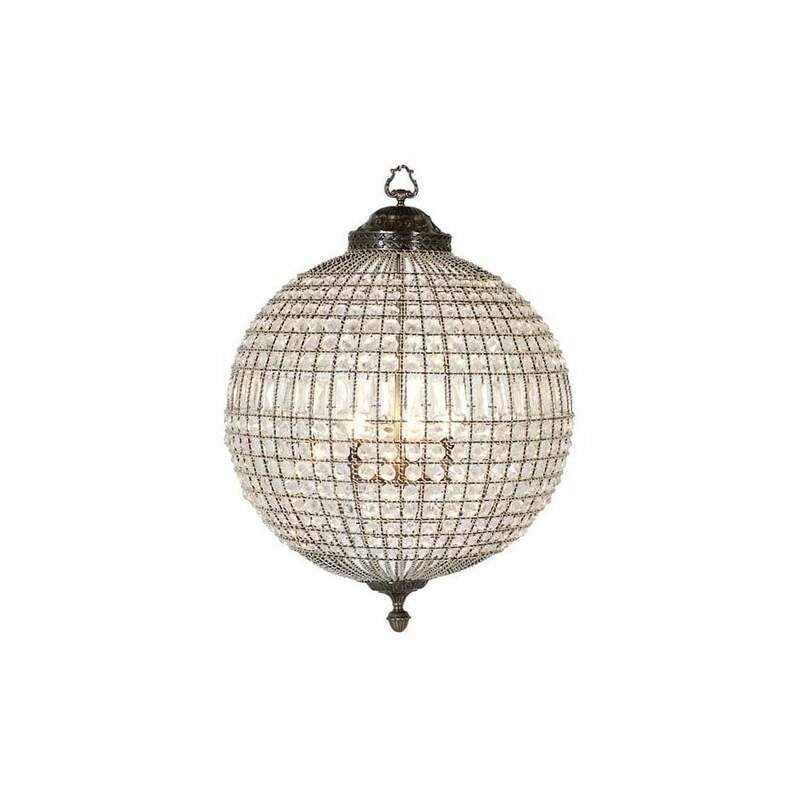 This artisanal chandelier will bring glitz and glamour to any interior scheme whether it is hung in a hallway, bedroom or living space. Available in two complementary sizes, create a decrorative design with varying cable drops. Suspended by an adjustable chain, this chandelier can be personalised to suit your requirements.